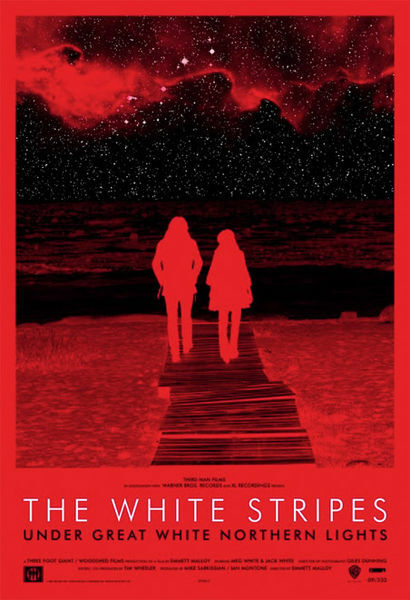 The White Stripes have released a documentary film and accompanying live album entitled "Under Great White Northern Lights" which documents their 2007 tour across Canada. I'm enjoying the live album and I'm sharing "Black Math" because it's one of my favourite White Stripes tunes. The White Stripes: The best band of the past decade. Agree or disagree? Never really understood what all the fuss was about, so I guess I'd have to disagree. Best band, not sure. Most influential? Perhaps. If you just said Jack White rather than the White Stripes, it bumps it up another notch. Have you seen "It Might Get Loud," the documentary with Jack White, The Edge and Jimmy Page? Pretty good stuff. Agreed...No one post year 2000 has his talent..or his passion!! watch It Might Get Loud!!! You've got my back, Mike... Can't think of a better band this decade better than The White Stripes!! Jack White and Meg bring an independance to their music that you just don't find with any band today, fack with Auto Tune and American Karaoke (Idol) music has been at it's lowest point since Disco. The Great White Northern Lights tour was further proof of this, most agents or record companies would have shuddered if one of their acts had proposed this. I'm on the fence about best band but really can't name an alternative with their stature. How about coolest band of the last decade. Of course after posting I reread my comments, and meant to imply that the The Great White Northern Lights tour was proof of the White Stripes greatness and independance.